Daring Fireball just linked to two equally foolish articles about how PDFs are “bad” for Open Government. The premise of these articles is that the world would be a much better place if all governments would publish all of their information on the web in HTML or XML. You know what else would make the world a much better place? Unicorns. The issue at hand is not whether governments should pick HTML or PDF. The issue at hand is whether governments are capable of publishing information at all. Show me an HTML creation tool that creates high quality, standards conformant markup from a Word document or any of the zillions of editing tools that government employees use. Now add in all the tools used by people who submit documents to the government. And all the versions of those tools released in the last 20 years. Now make sure that the HTML/XML works correctly even when the user doesn’t have the right browser or the right fonts installed. Guess what? There are no such conversion tools available. And who would pay to make sure that everyone had access to these tools and knew how to use them correctly? Creating PDFs is trivially easy for all these cases, whether you use Acrobat or something built into your OS. It works regardless of what tool was used to create the content in the first place, and it works on pretty much every OS out there and on mobile. HTML/XML Standards nerds should get a grip. They aren’t even in the running to compete with PDF here. Since my previous domain shebanation.com got grabbed by some domain speculator, I’ve registered for a new domain as shebanator.com. You can continue to use shebanation.wordpress.com if you like. Sorry for the hassle. I usually stick to technical topics, but I’m a proud papa. 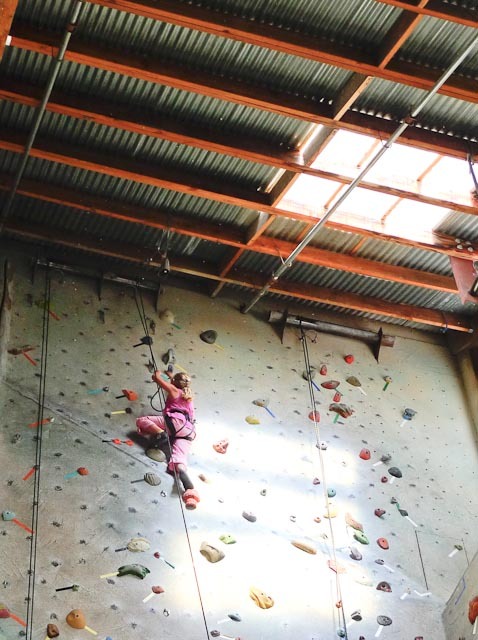 This is a photo of my 7 year old daughter rock climbing at Pacific Edge in Santa Cruz a couple of weeks ago. That’s the top of a 50 foot climb, one of four she did that day. How she decided that this was the sport for her, I don’t know. She tried it for the first time at the Santa Cruz Beach Boardwalk a couple of years ago, and has done it several times since on the same kind of portable 20ft wall. This is the first time she ever tried anything quite this extreme, and she was pretty intimidated at first. But about half-way up the first climb she “got it” and from that point on she had a great time. Amazing facility, by the way, next to the Beckmann’s bread factory. •30Jul09 • Comments Off on Palm Claim Chowda? Long time no blog, but here I am again. First post since last January, but that was because Palm disapproved of my blogging and I didn’t want the internal controversy. But as it happens I’m no longer a Palm employee as of last Tuesday, thanks to a new Senior Vice President who wanted to hire her own people to own the App Catalog. I could vent a great deal about the management mistakes that have been made at Palm over the last few months, but I prefer to look forward. Besides, I still believe in the potential of the platform and have a lot of good feelings for the folks I worked with there. But that also means that I’m looking for my next job. Could be permanent or contract, as long as it is full time and allows me to work on user-centric software that solves real problems for real people. If you know of something, DM me on twitter. A mini resumé is also available on LinkedIn. Another change is the URL of this blog. Somehow my domain expired at dotster on July 4 and I didn’t notice. Probably because dotster sends me so much spammy marketing email that I just auto-deleted it without reading. And some tool has hijacked the domain, so I’m going back to the wordpress default url, https://shebanation.wordpress.com. Sorry for the inconvenience, but you’ll need to update any feed URLs you may have subscribed to. That’s it for now. I promise to actually write more about tech subjects now that I don’t have to worry about Palm’s PR folks coming down on me – although Lynn and Jon were very nice to me, they still ruled over all public discourse with an iron fist! Hey, everyone – we’ve relocated the conversation about application distribution over to Palm’s official developer blog. Please click here for more information. Lately, there has been a lot of discussion about the future of the computer. There are people discussing how popular netbooks were during the holiday season. The CEO of RIM says the BlackBerry Storm is a netbook, “just smaller”. There are tons of people speculating about apple’s plans for netbooks, tablets, and/or iPhones with slide out keyboards. 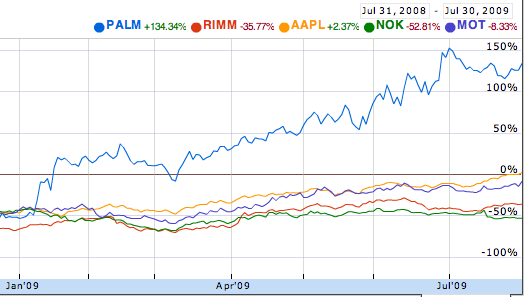 And many say the market in general is ready for tablets as a new form factor. What all these things have in common is that people are starting to see the inevitable convergence between laptops and smartphones. The Wall Street Journal published a great story about this trend a couple of months ago. State of the art smartphones are more powerful than some laptops that were sold only ten years ago, and at the same time more and more of the heavy lifting in computing is happening in the cloud. So why would anyone want to carry around a laptop when you could fit a sufficient amount of computing power and data storage in your pocket? What kinds of work are people doing on smartphones today that they used to do on laptops? What kinds of work do people still rely on laptops for? Could a tablet or a smartphone replace a laptop for such work? Let’s look at the first question. Here’s a handy chart of the things many people do using smartphones or tablets today, most of which were formerly done only on laptops/netbooks. I give smartphones an edge in Communications and Maps and Directions because of the built in voice and GPS capabilities that aren’t nearly as ubiquitous on other devices. As you can see, smartphones do a lot of things really well. But for me, the most striking aspect of all these tasks is that they are primarily oriented to looking up and consuming existing information. The only exceptions are geared towards short-form communication: typing in SMS messages, tweets, and short emails. Clearly, this is a different kettle of fish. All of these tasks involve the creation of content, and these smaller form factor devices aren’t very good at any of these tasks. And that brings us to the third and most important question, which I’ll now rephrase slightly: could a tablet or smartphone ever be a viable device for the creation of content and not just its consumption? Most people can’t enter text as quickly on touchscreens or on the mini-keyboard of a typical smartphone. The screens on all smartphones are too small to show a lot of information onscreen simultaneously at a size that most people can read. Tablets are better, but even a 7 or 8 inch screen is too small for many content creation tasks. So what can be done to make this better? We need better input and output devices for these small form-factor devices. You can already buy bluetooth keyboards, and mice wouldn’t be hard. Ironically, Palm’s much ridiculed Foleo was actually a step in the right direction, but it focused on emails instead of helping make your smartphone creation experience better. But wouldn’t it be cool if you could hook up your smartphone or tablet to a large display when you got to your office and when you got home? I’d buy two! Even better would be if it could be done wirelessly – imagine working with smartphone or tablet using your HDTV at home as the display. The possibilities are enormous, and inevitable. To my mind, making these small devices work for content creation is one of the key issues remaining to be solved in the mobile space. Disclaimer: as always, these opinions are my own and do not necessarily reflect the opinion of my employer.